Where the exact location of Wisma Sakinah ? What facilities are available at the Chamber of Wisma Sakinah? What distinguishes the facility of each type of room? How Room Rate per day and per month? Are there any Special rate on weekends or certain days (seasonal days)? How do I know availability of the Room ? When the limit Check-in and Out? Wisma Sakinah site is located at Jl. Kumudasmoro Barat No.24 Pamularsih Semarang, Phone 024 762346 (the road to the left side of Bakso "Geger"). All types of our rooms have the same facilities : bathroom in the room (hot / cold), Split AC, TV, Telephone PABX, Spring Bed, Wardrobe / Tables / Chairs and Secure Parking area. Especially for Suite Room there are additional guests table & chairs (living room), Dispensing and Refrigerator in the room. 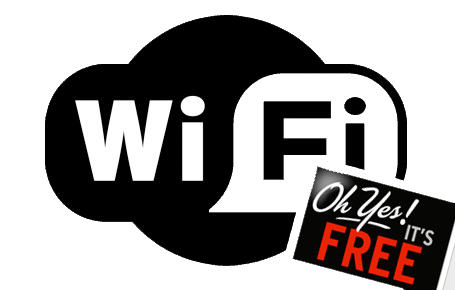 Wisma Sakinah also equipped with Free Wifi Internet Access. Differences of each type of room is the room space area and the size of Spring Bed (we use Spring Bed Romance). Standard room area (300x400 mm), Spring Bed sized 3 (120x200). Executive room area (300x550 mm), Spring Bed sized 2 (160x200). Suite room area (550x800 mm), Spring Bed sized 2 (160x200). Suite Room : Rp. 300,000.- Net. Extra Bed (rollaway) is only Rp. 35,000. - But just a comfortable extra bed for Executive Room and Suite Room since the area is limited room for the Standard Room. Daily Room Rate applies for room only, excluding breakfast. We do not provide breakfast. Suite Room : Rp. 3.200.000. - Net. Additional occupants incur additional room rate Rp. 500,000. - per person per month. Monthly Room Rate applies for room only, excluding breakfast. We do not provide breakfast. Monthly Room Rate include drinking water (hot or cold mineral water) free self-service at any time. Every day during the year applicable normal rate, including Christmas Day, New Year and weekend days, except when Lebaran Holiday. Special Rate valid only when Lebaran day (Eid) and valid H-4 (minus 4) Lebaran till H +4 (plus 4) Lebaran. Special rates apply when Lebaran Holidays plus 25% of the normal rate. Availability of the room depending on when it needed, room type, how many rooms and how long (the date of check-in and check-out). Please contact us via telephone, email, IM to ask room availability. Check-in starts at 02:00 and Check-Out at 13:00. Check-Out through 13:00 until 18:00 charged half rate. Passing 18:00 subject to the full rate. Before transfer the advance, should be obtain our approval to ensure the availability of the room.